This extensively updated and expanded second edition reflects new research, advances in clinical care, and the growing recognition that diabetes mellitus is a risk factor for cardiovascular disease. Written for the practicing clinician as a comprehensive review of diabetic vascular disease, the book both explains the basic pathophysiology of the disease and details the latest diagnostic and therapeutic approaches. 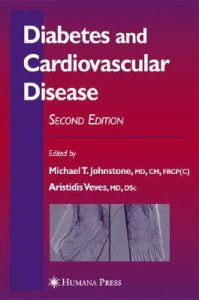 The authors have added new chapters on percutaneous interventional therapy in cardiac and peripheral vascular disease, cardiovascular surgery in diabetes, therapeutic interventions to improve endothelial function in diabetes, PARP activation and nitrosative stress in the development of the cardiovascular system, and PPARs and their emerging role in vascular biology, inflammation, and atherosclerosis.